If the Galaxy S4 didn't seem like a worthy upgrade based on specs alone, maybe the change in color might change your mind. Sure, that white Galaxy S3 still plays most of the latest games just fine, but just imagine how impressive it would be to whip out a smartphone that just so happens to be the same shade of red as your favorite pair of sneakers. Accessorizing is fun, even if it does cost more with powerful electronics than it would otherwise. That's the theory, anyway. 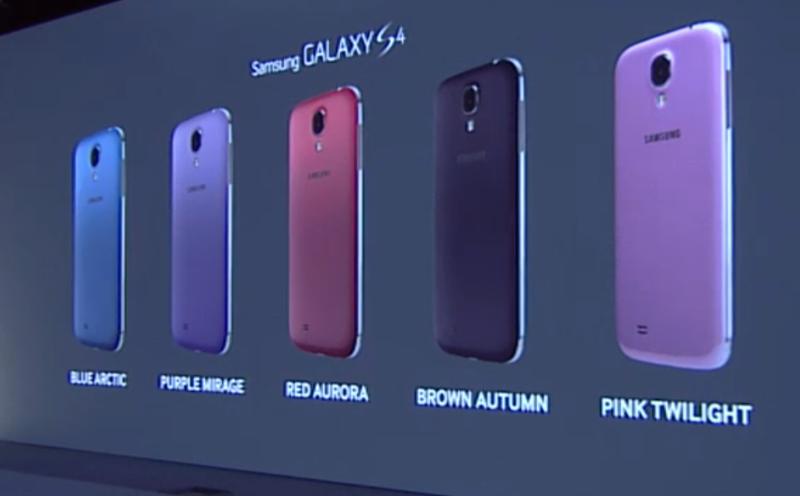 Samsung hasn't yet given a date for when these new colors will become available, but I hear its current colors already go with any outfit.